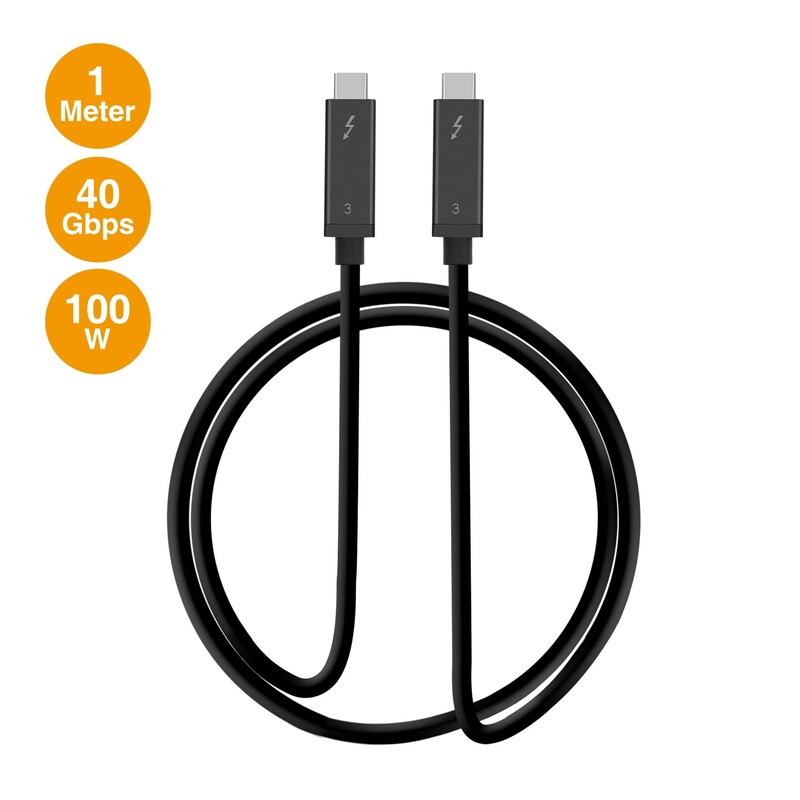 Is Type-C USB 3.1 or Thunderbolt 3? This isn’t a problem until Thunderbolt 3 was released. 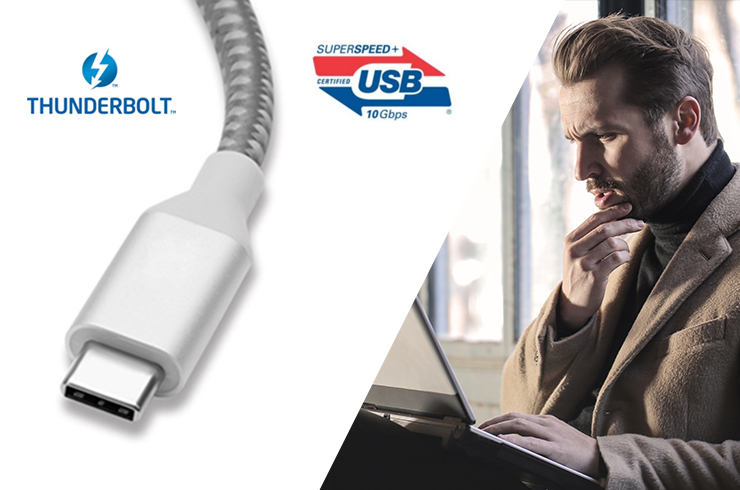 Thunderbolt 1 & 2 are using Mini DisplayPort as receptacles, while Thunderbolt 3 uses Type-C. After Thunderbolt 3 integrated with USB-C, many people are confused about how to distinguish USB 3.1 and Thunderbolt 3. Thunderbolt 3 is a brand name and it is an interface developed by Intel. Chips for Thunderbolt 3 can only be produced under Intel’s authorization. Thunderbolt 3 is a protocol like USB 2.0 and USB3.1. It can transmit data, audio and video with 40Gbs bandwidths and provide power at the same time. 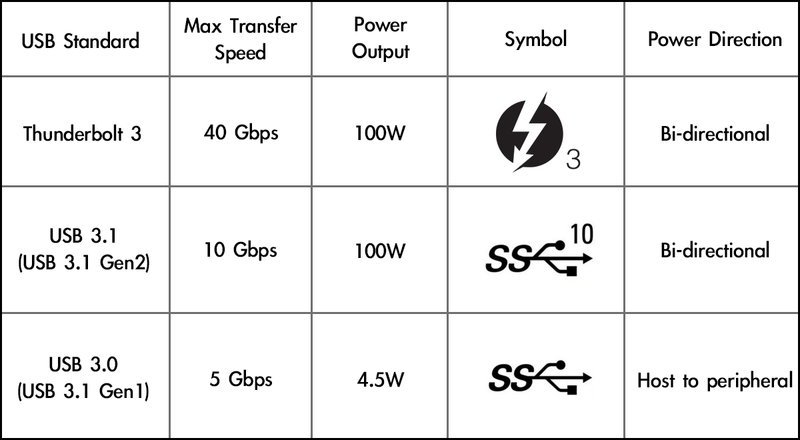 Thunderbolt 3 also has Power Delivery function, which supports up to 100W. As it has 40Gbs bandwidths, two 4K@60Hz sources are able to be transmitted. 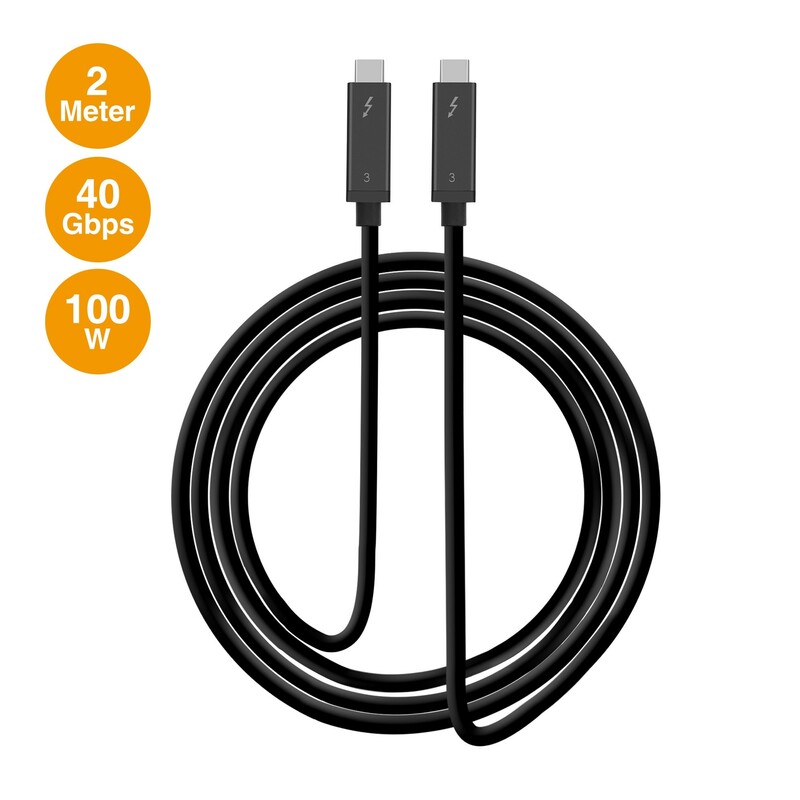 How to distinguish USB3.1 and Thunderbolt 3? Although it’s hard to tell if it is Thunderbolt 3 from appearances, customers can check certifications from Intel. And the good news is that Intel is making Thunderbolt 3 royalty-free for some chipmakers this year (2018). This might help Thunderbolt 3 gain more markets.